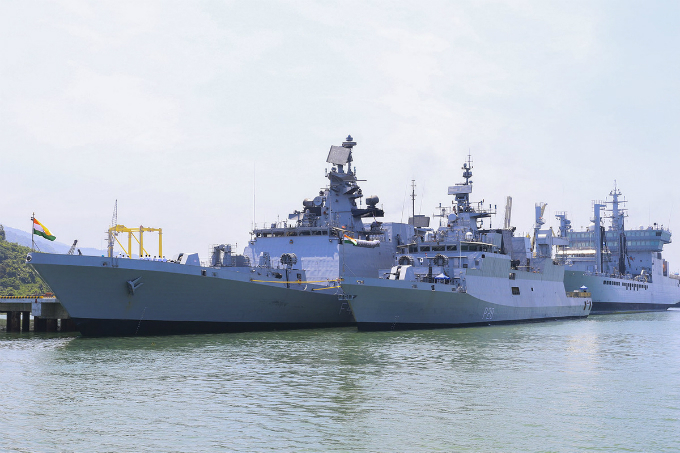 Take a close look at the Indian ships which are in Vietnam's Da Nang for a five-day visit. 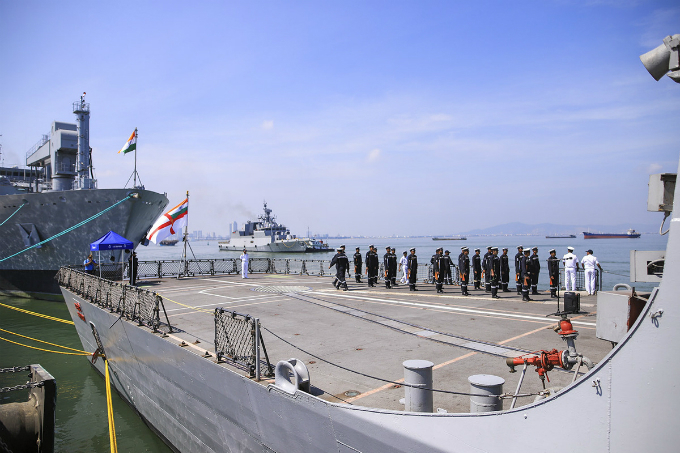 Three Indian naval ships with 900 officers and sailors arrived at Tien Sa Port, Da Nang, on Monday, starting a five-day visit as part of the deployment of the Indian Navy's Eastern Fleet to Southeast Asia and the northwestern Pacific. 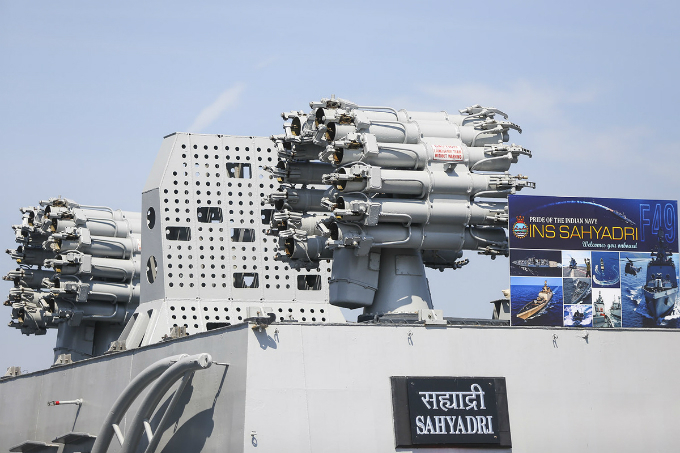 The INS Sahyadri is a Shivalik-class stealth multi-role frigate commissioned since 2012. The 6,000-ton ship is 142.5 meters (467 feet) long, 16.9 meters wide and can reach a maximum speed of 32 nautical miles. The ship is equipped with cruise missiles, rockets and torpedoes. 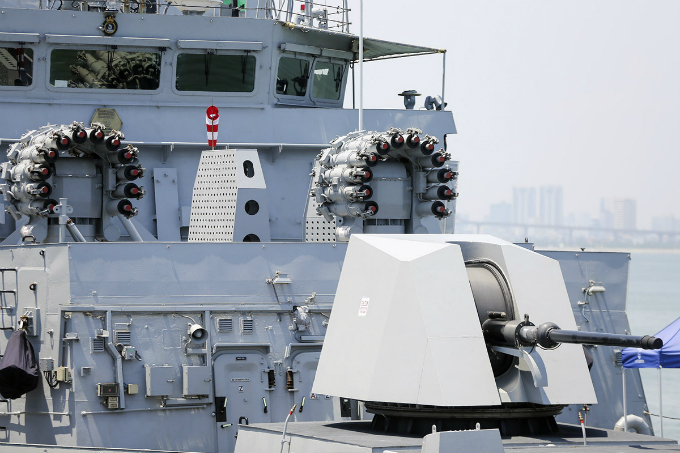 The ship has a 76.2 mm gun that can fire 120 shots a minute against both ground and air targets in a 16-kilometer range. The aircraft landing space on the INS Kamorta. 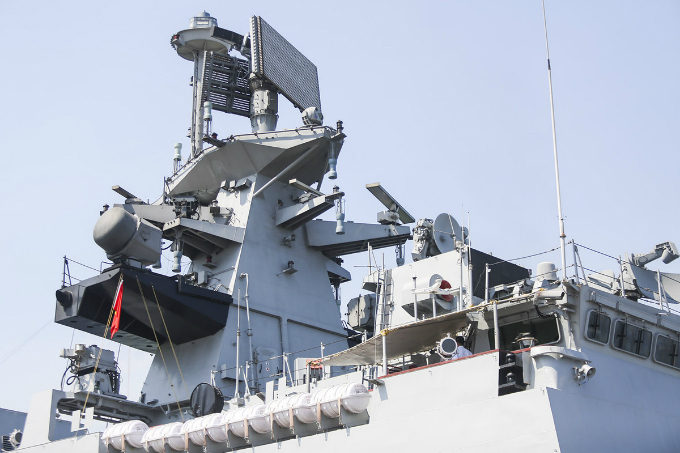 The INS Kamorta is an anti-submarine Kamorta-class stealth corvette which is also furnished with state-of-the-art facilities like the Sahyadri ship. A crew member is on guard on one of the ships. 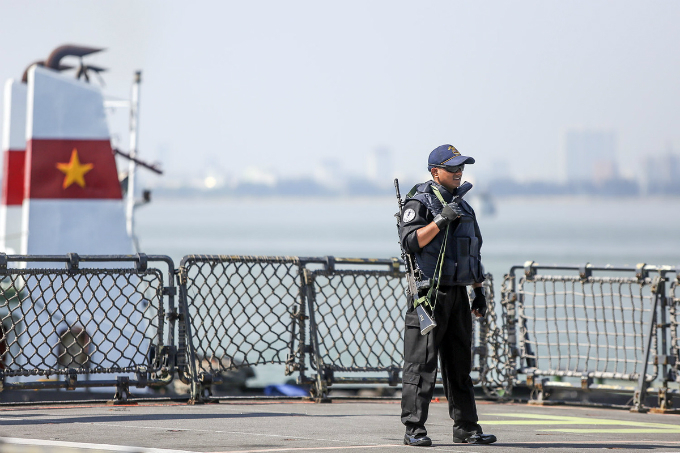 The crews will participate in sport activities and cultural exchanges with officers from the Vietnamese naval team. 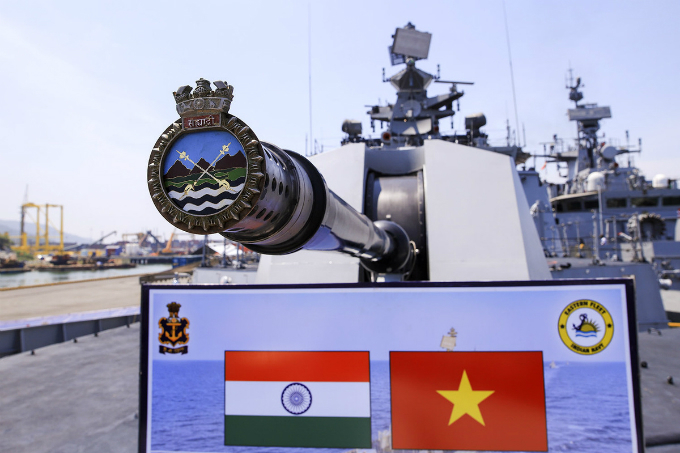 A joint maritime exercise between the Vietnamese and Indian navies is scheduled on May 25 to wrap up the visit.